Meet The Shannons: Apple Churros to the Rescue! Is there anything in the world as lovely as celebrating St.Patrick's Day with a treat of traditional Spanish-style fried dough? Churros are often sold by street vendors, who will often fry them freshly on the street stand and sell them hot. In Spain, Mexico, and Argentina, they are available in cafes for breakfast, although they may be eaten throughout the day as a snack as evident in Nicaragua. Specialized churrerías can be found in the form of a shop or a trailer during the holiday period. In Colombia they can be found in the streets but they are thin and shaped like a ring. But our buddies over at "The Free Encyclopedia that Anyone Can Edit" (no, seriously, that's their tagline - check it out) forgot to mention that the origins of churros is one of mystery and controversy. There are some who feel adamantly that they were developed by Spanish shepherds, and that recipes were developed and handed down from generation to generation. Others claim to have proof that this delicious treat was first made by monks in the 13th century, and then shared with the people in an act of great charity. We may never know the truth without the plot to Bill & Ted's Excellent Adventure coming true. What we can do is make a batch of these historically enjoyable little guys to enjoy over the weekend. So let's fry some dough! In a large pot or Dutch oven, heat the 4 cups of Vegetable Oil on a high heat. In a small saucepan, combine Apple Juice, Salt, 2 1/4 Tablespoons Sugar and Olive Oil and heat on a medium heat. Once it begins to boil slightly, mix in Flour with a large wooden spoon and remove from heat. 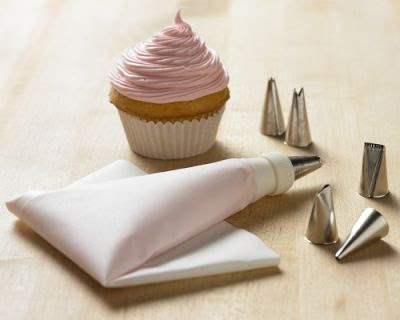 Once it is a thoroughly mixed and has formed a paste, spoon your dough into either a pastry bag or a cupcake decorating gun and attach the largest star shaped tip. Once your Oil is hot, pipe stripes of dough about the length of your index finger into Oil. I would recommend doing this one or two at a time so they don't end up sticking together. Let fry until they turn a light golden brown. They will cook a little once you remove them from the Oil so you want to pull them out before they get too brown. Then place them on a plate with a paper towel to soak up the extra Oil. In a shallow bowl, mix Cinnamon and 1/2 cup of Sugar. While the churros are still warm but cool enough to handle, drop them in the Cinnamon Sugar mix and coat heavily. You want to make sure they have cooled and a lot of the Oil has drained out so you don't end up getting too much Oil in the Cinnamon Sugar. Towards the end of the second batch, I started to play around with the dough a little. See in different place around the world churros can be found in rings or even hearts. So even though the sticks are what you would expect, you can get a little creative and still be old school. Thank you Daisy Dog Studio for the mug! We use it all the time! PS - Click here to watch something funny that will be funnier after a few green beers. I'm so glad to see that Eddie Izzard is still funny, even in men's clothes. I'm drooling...these look so good. Can you make this with out frying? Would they come out ok in the oven? hmmm. Good question. We fried them because we were trying to stay close to the traditional recipe but the dough is pretty good stuff and might be just as good baked. oh my GOSH I have to try making these!! they look SO good! !